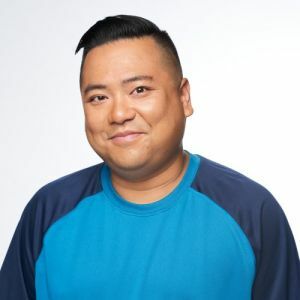 Andrew Phung is an actor, improviser, and emcee hailing from Calgary, Alberta. Andrew is currently a Senior Ensemble Improviser and Instructor at the Loose Moose Theatre Company where he's been performing since he was 16. He is an alumnus of Avenue Magazines Top 40 under 40 list and is the winner of the 2016 Canadian Screen Award for Best Supporting Actor/Guest Star in a Comedy Series for his work on "Kim's Convenience". His recent credits include "The Beaverton" and "Little Italy". Andrew is father to two wonderful boys, and husband to the amazing Tamara. Andrew also has over 400 pairs of sneakers...no, seriously.